The board will also be presenting our recommended dues for 2013, which must be passed by 2/3 of attendees, so this will be an important one. Our first Open Sew was a lot of fun! This is just a reminder that the next one will be held on Thursday evening, November 7 at the Church of Latter Day Saints in North Caldwell. At our December meeting on December 19, we will be having a Secret Santa-style gift swap! The plan is to make a trinket (pin cushion, change purse) or pass on some cute fabric (FQs are perfect gifts for quilters) with a $10-15 limit. We’re going to use an online organizer called Elfster, so keep an eye on your inbox for the invitation. You’ll be able to enter any preferences you have, as well as favorite colors and fabric designers. Sign-up is completely optional and 100% anonymous. 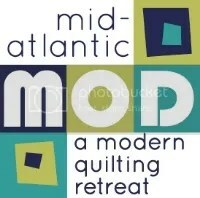 The Modern Quilt Guild is launching a new newsletter with membership information and free patterns! Sign up is here. We will have more information about our NJMQG group on the national site soon.